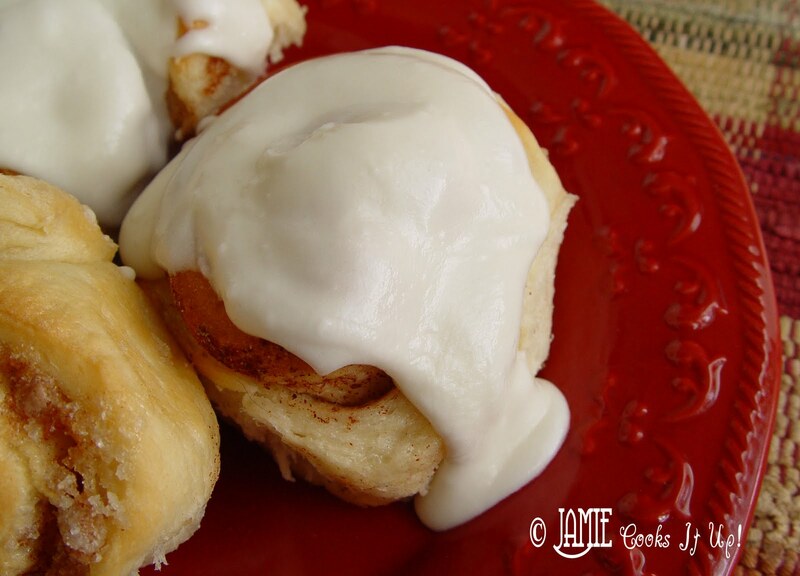 Sweet rolls…..they take a bit of time to make, but are so worth it! This recipe is one I have fiddled with and changed many times over the past several years. I think I’ve arrived at something now that doesn’t need anymore changing. I usually make 1/2 the batch into orange rolls and the other half into cinnamon rolls. It makes 24 sweet rolls. A warning…..they are giant sized and it’s still difficult to eat just one. Proceed at your own risk! 2. Combine the warm water, yeast and a dash of sugar in the bottom of your mixer. Mix it up just a bit and then let it sit for about 3 minutes. It will get nice and bubbly. 3. Add 3 C of the flour and mix for about 1 minute. Then add the scalded milk. 4. Add the all other ingredients, but the rest of the flour. Mix for about 1 minute. 5. Add the rest of the flour 1 C at a time. 6. You’ll know you have enough flour when the dough scrapes the side of the bowl clean. 7. When you have enough flour mix on high for about 7 minutes. 8. Let the dough rise in a warm place for about 45 minutes, or until doubled in size. 9. Divide the dough into two balls. Let the balls rest for about 3 minutes on your counter. 10. Spray your counter top with cooking spray and roll out one of the dough balls onto it with a rolling pin. 11. 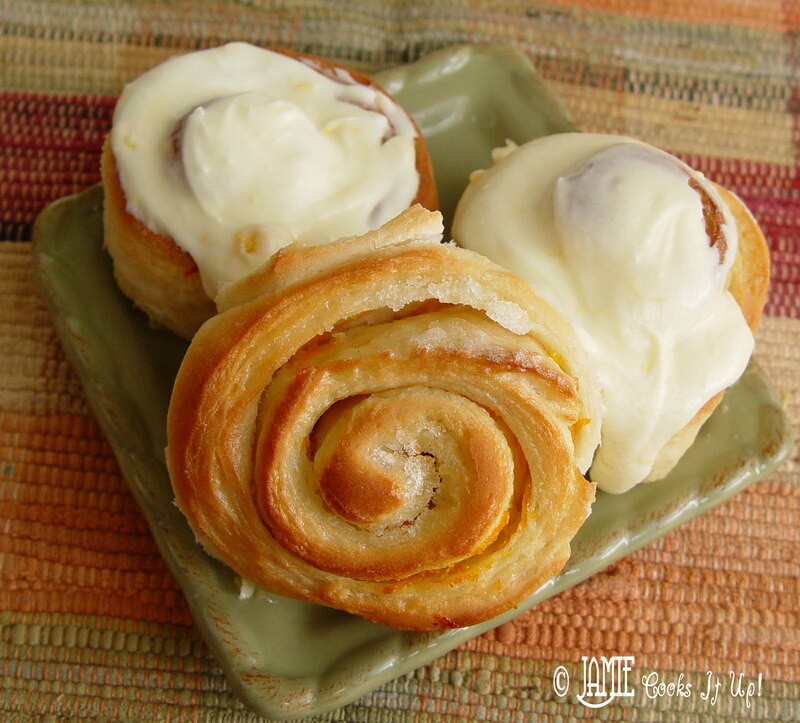 For the orange rolls, spread the butter out over the dough, sprinkle with the sugar, and orange peel and then squeeze the juice from the orange all over the dough. If you are making cinnamon rolls, spread the butter over the top of the dough, sprinkle with sugar and cinnamon. 12. Roll the dough up! Try to keep the orange juice inside as much as possible. 13. Cut the rolled up dough into 12 equal parts. 14. Place the rolls onto a spayed cookie sheet. Repeat with the other half of the dough. 15. You can see in this picture that some of the juice has escaped. I try and scoop this up with my hands and spread it over the top of the rolls. It makes them so delicious! 16. Let the rolls rise in a warm oven. I turn mine to 170 degrees. Let the rolls rise until doubled in size, about 30 minutes. 17. Turn your oven up to 350 (let the rolls stay in the oven while it increases in temperature). 18. Bake for about 20 minutes. I have a convection oven and so I can bake both pans at the same time….I turn my temperature to 325 and switch the places of the pans about 1/2 way through the baking. 19. For the glaze, mix all ingredients in a large mixing bowl. Be sure you don’t get it too thin. Add more powdered sugar if this happens. Add more milk if it’s too thick. 20. I put the glaze on when the rolls are still a bit warm. If you want to rolls to have more of a “frosted” feel then wait to add the glaze until the rolls are completely cool, but I recommend putting it on when they are still a bit warm…..wish I was eating one right now! Happy baking! Sigh…you just HAD to go and post this recipe for cinnamon rolls while my oven is slowly dying, didn't you? 🙂 Thanks so much for leaving the comment on my blog and letting me know about your dipped oreo recipe! I have the distinct feeling that I'll be whipping some of those up for Christmas goodies! I LOVE cinnamon rolls! Well, I love food period! Hence you have a new follower! And I am starting with this recipe! Thx for posting! So I have never made homemade sweet rolls. Any kind of bread product scares me. A couple of questions : 1) how long do you cook the milk in the microwave for it to be considered scalded? 2) are you adding the warm water, yeast and sugar to the milk? 3) what kind of hook do you use at each step on your mixer? 1.I put the milk in a glass pyrex measuring cup, and cook it in the microwave for two minutes. 2.You found an error in my recipe instructions regarding when to add the milk. My apologies! I am glad to be aware of it. The milk is added in step 3 after a few cups of flour has been added to the water/yeast mixture. The hot milk is TOO hot to go directly in with the yeast. 3. For this recipe I use a Bosch mixer. If you are using a Kitchen Aid I would half the recipe and use the bread dough hook. Good Luck….I bet they will turn out great! These look delicious. I've never made them. I think my family would love these! I tried these tonight! You weren't kidding that they made a ton! But, after taking a few to the neighbors, we had just the right amount for our family. They were wonderful sweet rolls! These sound really yummy and I will have to try the orange zesty version soon. I've been experimenting with sweet rolls as well at my blog Sweet Rolls that Rock. 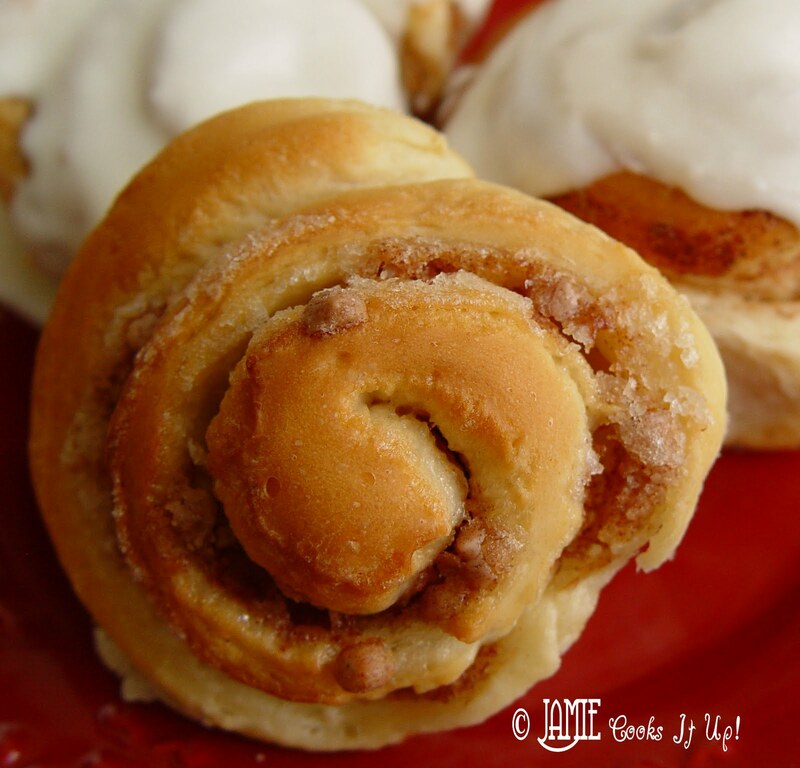 I'd love for you to check it out – mmmm – yummy sweet rolls. do you find a difference in texture/taste/shelf life of doughs with butter/margarine vs. doughs with oil? I prefer to use oil over butter and margarine – and wanted to know if i can swap it in this recipe – TIA! This recipe really needs the butter. The flavor of the butter is big component. Good luck! I make this all the time- my mom had a recipe similar to this and you've improved on it so I use yours! I make 1/2 crescents and 1/2 cinnamon rolls – 1/2 of each usually make it into the freezer after they are rolled but before the second rise – I have a 600 series Kitchen Aid and this recipe fits in it just fine!!! Thanks for sharing – and I'd totally have to be bribed to make 72 hr kits… important but dull… I love you blog! thank you thank you thank you for posting! Really want to try this and see how it works, the last time I tried a sweet roll recipe I wanted to throw it away. 😉 can not wait to see how this one turns out! When you made these for the bake sale did you make them the day before? Did you just cover them and put them in the fridge? Was the icing on them already too? Yes, you can make them a day in advance. I complete them with the frosting and all, cover with plastic wrap and then I just leave them out on my counter. If you make them more than a day ahead, I would suggest putting them in the fridge. Good luck! Hope you have a great Christmas, Jalinda! Your amazing Jamie! Thanks so much, and Merry Christmas to you too. Can you say Huge rolls and oh my gosh they are absolutely marvelous!!!! I made the orange rolls for the first time and they were an absolute hit!!! Thank you!!! I’m making this right now and the batter smells so good than I want to eat it before baking it(laugh!!). This will be my go-to recipe for rolls. I made these beauties for Christmas morning. One pan of each, like above. I did make my icing thicker because I like it that way. I have been assigned cinnamon rolls and orange rolls for the past four Christmases. Each year I try a different recipe and swear I should just do Rhodes. LOOK NO MORE! These were fantastic. For the first time ever, the orange ones were completely gone before the cinnamon rolls. I think the orange juice was key. I will be making these every year. I keep thinking of a reason why I need to make them again. Awesome.